In my workshops I am often asked for my natural clay toothpaste recipe. My own recipe changes every time I make it, but here are a few recipes for natural bentonite clay toothpaste you can make at home. It’ll do wonders for your teeth, and may save you from visits to the dentist. Nearly all commercially available toothpastes are made primarily from glycerine. According to the research of Dr Judd glycerine coats the teeth and prevents calcium ions from being absorbed directly into the teeth from the food in our mouth. His book on Good Teeth from Birth to Death is viewable online here. His website was formally at gerardjudd.com but it is not there at the time of writing this. You can read his key info on other sites, here and here. The toothpaste I make at home is, in my experience, vastly superior to ANY I have ever seen on sale in shops, including all the “natural” toothpastes in health food stores. Why buy second-rate toothpaste when you can make the best stuff at home. Dr Judd recommends using plain bar soap for brushing your teeth. I do that when I don’t have my magic paste available. It shouldn’t be ordinary soap, but real soap. It’s called “Castile soap”, which is simply made from natural saponified vegetable oil. Dr Bronner’s brand does the trick nicely. I have not used common toothpastes for the past 20 years or more. I started using bentonite for toothpaste about 7 years ago. I find it works very well. There is some evidence and research suggesting Xylitol helps prevent dental cavities. People are advised to eat it and use Xylitol sweetened gum. I won’t eat Xylitol as I think it is potentially toxic when ingested. It is also NOT a whole or natural food. It is a refined and isolated molecule. However, I am currently experimenting with using Xylitol as a mouthwash and in my home-made toothpaste. I immediately notice my teeth stay silky smooth for much longer when I rinse with my home-made Xylitol mouthwash. So for now the experience continues. If you also want to experiment with using Xylitol in your dental health regime, here is a recipe I came up with. Mix the dry ingredients together. If you wish you can leave this as a tooth powder. If you wish to make it into a paste, add the liquid and mix well. Add more or less liquid depending on the consistency you prefer. Note that started out a little runny is fine, as it will thicken up a lot over the following minutes and hours. Experiment and enjoy. 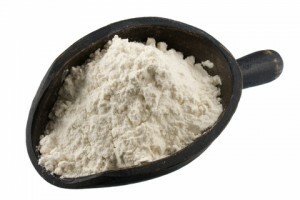 1 teaspoon of Dicalcium phosphate powder, or some high quality calcium supplements are made from this. In the later case, you would crush three or more tables into a powder and add to the mix. It may be hard to find this. I will post a source in the USA when I find it. Skip this ingredient if it’s not available. Optional. Used to help re-mineralise the teeth. I have listed these ingredients in order of importance. The key ingredients to include are numbers 1 to 4, and ideally 1 to 6. Mix the dry ingredients first. Then mix the wet ingredients. Combine both. Add enough pure water (it won’t be much) to the mix in order to form a thick paste. In place of water you can also use pure aloe vera extract (sold for drinking). This is a simpler recipe than the one above. Mix the dry ingredients together first. Mix the liquids together. Add wet to try ingredients. Add clean water to get correct consistency for your liking. Deionised water is ideal, but good filtered tap water will do the trick. Even standard tap water will do, if that’s all you have available. I wouldn’t suggest ingesting Xylitol as a food, but I do include it in this paste and in my mouthwash recipe for oral health. If you go with the wet paste form, store the paste in a small sealed glass jar. Dunk your brush into the jar to get enough on the brush for cleaning your teeth. You don’t need to use much. Experience and feeling will inform you how much to use. If you go with the dry powder option, store the powder in whatever you find is suitable. Please adjust this recipes to your liking. The oregano oil is quite strong in taste and you may find it too much at first. Your mouth will quickly adjust to the taste over some days and weeks though. If your teeth are deteriorating in a chronic way I suggest doing research into how to make your body more alkaline. Test the pH of your saliva morning and night with pH stripes. If it is lower than 6.5 you have problem to resolve. Acidic saliva may contribute to tooth decay, and is also an indication of other health issues in the body, which may also be contributing to tooth decay. I also suggest using Modifilan for at least 2 to 6 months, every day. You could also experiment with adding the Modifilan powder to your toothpaste. Empty 2 to 4 capsules into the above mix. Be sure to check out my mouth rinse recipes. You’ll find them here. Oil pulling is an ancient practice which many people report great benefits from. Read about that here. Appreciate this. I love Uncle Harry’s, but a bit expensive. Thanks!